Coldplay has released a music video for Hurts Like Heaven, the fifth and final single from Mylo Xyloto album. 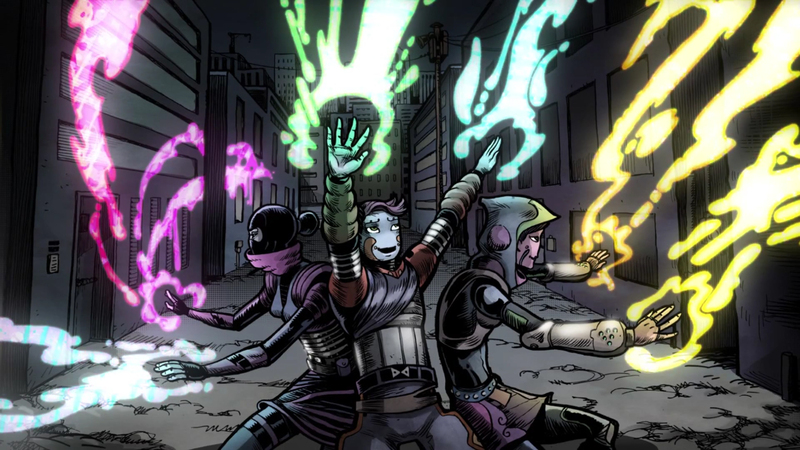 The video, directed by Mark Osborne, is the prequel to the story of Mylo Xyloto which will be told via a six-part Mylo Xyloto comic series to be released monthly by Bongo Comics from February 2013. Issue Zero, the music video, introduces The Car Kids, street artists who fight to keep sound and colour on the streets of Silencia. The Mylo Xyloto Comics were created by Coldplay and Mark Osborne, with the story written by Mark Osborne and Dylan Haggerty. Filming was shot by director Mark Osborne via Independent with producers Jani Guest and Verity White, illustrator Alejandro Fuentes and colorist Steve Hamaker. Animation was produced at Passion Pictures, Paris and London, by Michael Adamo, Marc Bodin Joyeux, Emilie Walmsley, Audrey Berrebi and Emile Chaillou, and at Fortiche Production, Paris, by Pascal Charrue, Jerome Combe, Herve Dupont, Annelyse Vielledent, Anne Raveneau, artistic supervisor Arnaud Delord, CGI supervisor Pascal Charrue, storyboard artist Alexander Juhasz, modeling/layout/animation/renderingteam Thomas Baratte, Ludovic Gavillet, Tom Gouill, Alexandre Labe, Guillaume Marques, Damien Peindit, Thomas Vuiller, texture artist Sebastien Guichard, compositors Alexis Charles and Mylene Guerin, concept designer Vladimir Shelest. Special FX were produced at Teresuac. Lettering was by Blambot’s Nate Piekos. Sound was designed at Flairs, Paris.